I will start here a thread too, since this forum seems a bit more EJ styled than others. but that is anoter story/community allready. 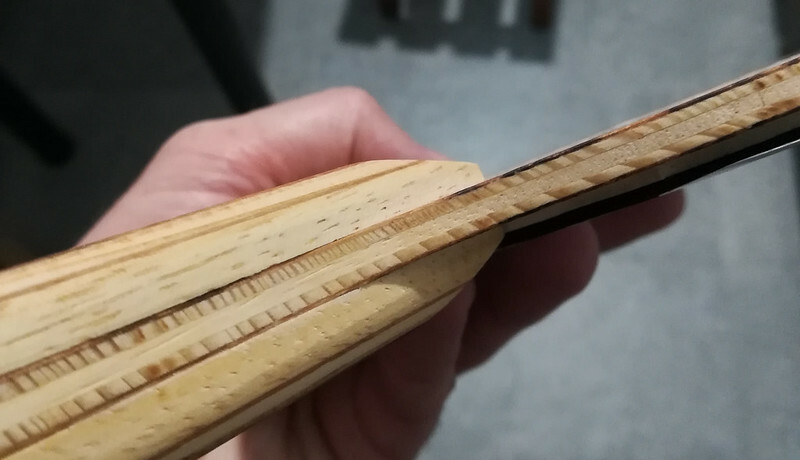 Some months ago - around end of October last year - I have started glueing home-made blades. The trigger for this was a joke I have made with an office colleague that lost his Yasaka blade. I promised him that I will craft something out of some furniture ply so he can be happy again. The thing is, there was a weekend in front of me and I started reading a bit about blade making. And the engineer in me was thrilled and the engineer was challenged. Furniture ply was allready not an option. At home I had some mahogany, some balsa, fiberglass and epoxy. So, I started the first prototype. Than, a week later it came the second one since I was not happy with the first. And this second was handed over to the mad colleague. It proved much too fast for what he expected. And it was really too fast and heavy. It had [email protected] and 101 grams. Since than, some other prototypes were built. Some were inspired from the common koto/limba/spruce/carbon/ayous/kiri mass-market models and some my own design. It was carved with a hand knife and pressed between some hardcover books. But since then, the "technology" progressed. I've built myself a mechanical press and I am using a professional trimmer. Nice work there adyy, Looks like the Epoxy might have leached thru on your first paddle. But fun to take ideas to fruition and try them out. In the last 5 years I've went thru making different design handles to now making blades that actually change how the ball behaves. 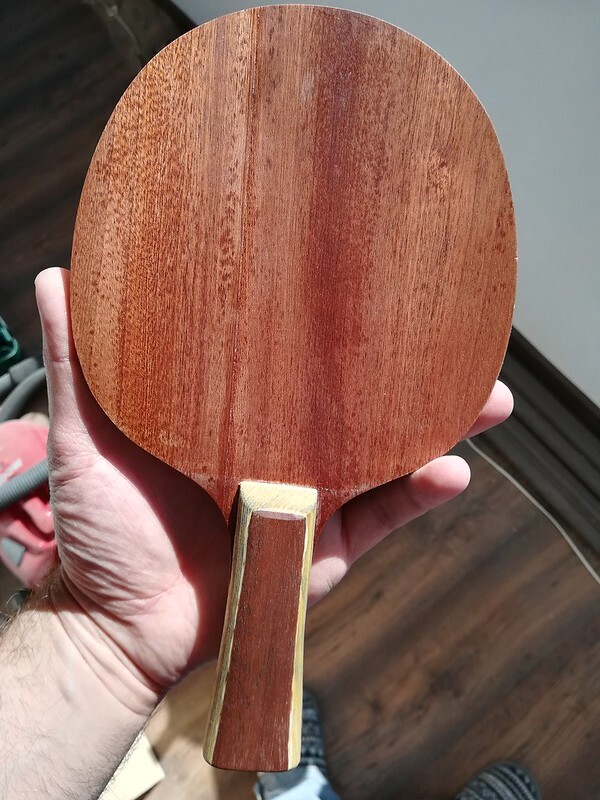 Yes, the epoxy passed through the mahogany. 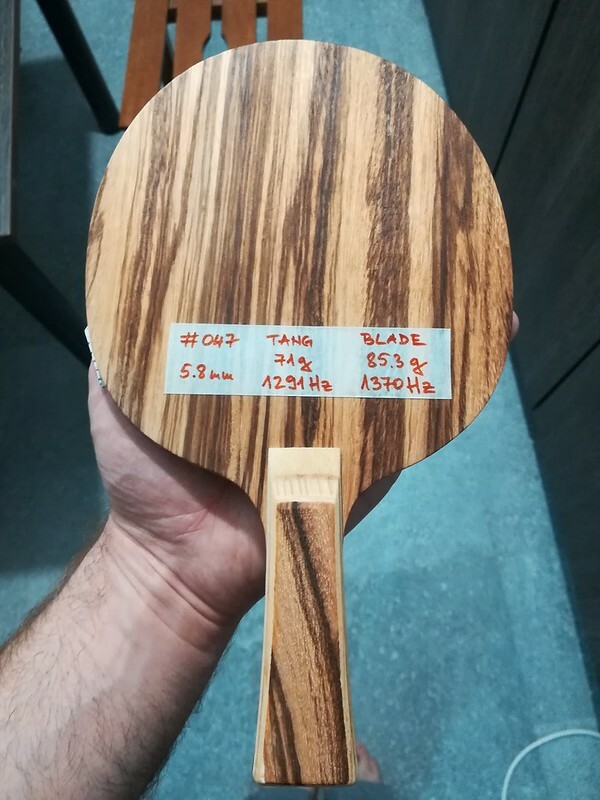 Being inexperienced, I thought that the wood is compact enough and this will not happen. Meanwhile I have learned that I need to seal the woods first, especially those that are porous. Can you (make a dedicated thread and) show us some of your handles? It would be interesting to see. For the future I want that build to be redesigned, since I have liked it and I think it has some potential. adyy, wish I could ... would love to show them but they're not patented. Ive talked to patent lawyers and they tell me if I sell or show some company will reproduce and dare me to sue them. I'm sure some of the handle designs are beneficial and unlike any I've ever seen. I have looked at all sports to get ideas from baseball to surfing. I use my imagination in everything I do. Great job addy. I always enjoy DIY blade threads and envy the people who can make them. Please continue to post your blade making journey! Thanks for the info. Actually after starting with different design handles I actually went to making handles that changed to various degrees.. how the ball reacts and plays. Maybe you can explain a bit, how the handle can change the way the ball behaves! From everything I've seen major manufactures do lots of things.. IN THE HANDLE. Most do this as a gimmick or to slightly change how a blade plays. Ive gone to the extreme with the theory and done it in numerous ways. Im not sure why no one hasn't done it before now. Yes, many are hollowed out or have some tricks inside. I have repaired a few Butterflies and I "dis-assembled" them to see and tested myself how it works with or without a hollowed out handle. Also another interesting system - that I did not tested yet and it seems patented - is the TSP Reflex 50 system. The problem with designs like these is that a picture and/or a curious customer is enough. Once it's seen by someone curious enough who is able to craft some sort of prototype ... a very far cousin of that system will appear somewhere. Remember the Andro handles with little beads inside? Kinetic I believe.. it didn't have enough weight to do much of anything. Or the 3D handle of Yasaka? My favorite one is the KSLS System of Rendler. When I started doing blades I went from passive to active tech. That's a good question. I personally had a problem when I was looking for a case for my racket. Considering my blade, my setup is very affordable, but nether the less, I like to keep my weapon safe. 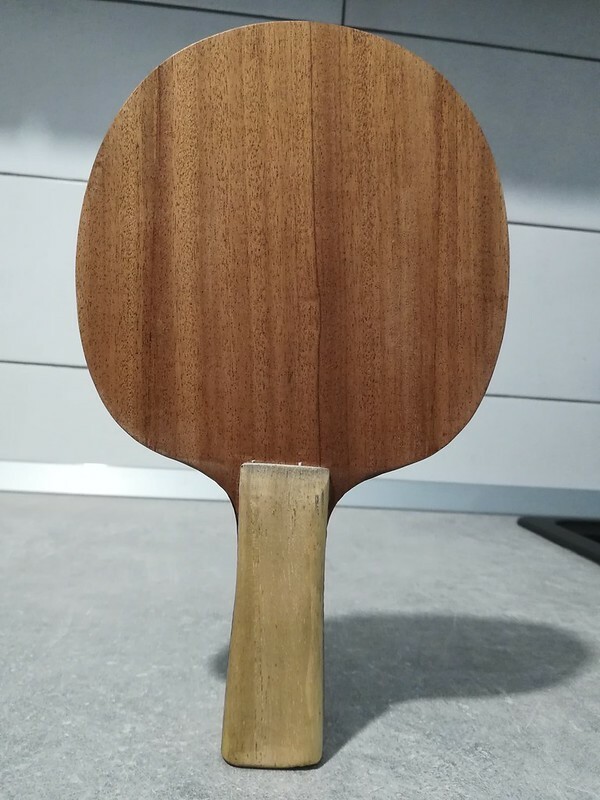 Maybe I am into packaging or smth So I have a regular fabric case, which protects only from scratches on the rubbers, but if I stuffed my racket (and that's what I usually do) together with other things in my bag, it can be bent and brake... also there is nowhere to put my balls. Also I have an aluminum metal case, but it's only for one racket (and I have a spare) and it looks like a gun case . 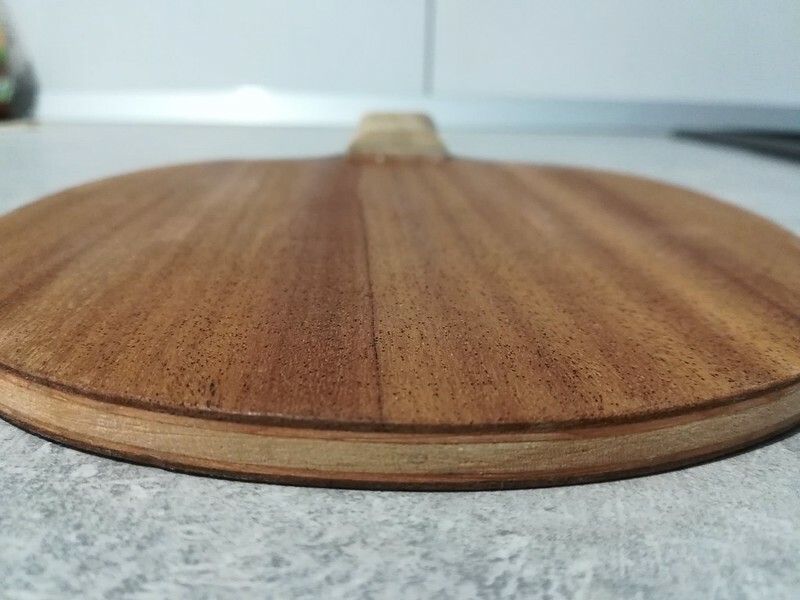 So being jealous (or better being inspired) by the players who make their own blades, I am planning to make my own perfect custom case for my rackets. I have an idea that I like, but I lack time, so my project is advancing very slowly, but I think I will have a little bit more time in the future and put more effort into it. So what I wanted to say, keeping in mind my idea, I have the same strange question "Im not sure why no one hasn't done it before now". So i guess when you refer to active tech you mean something like that opposed to a rendler that should be considered as a passive system? I would love to bring technology to the market too. Actually I thought about contacting several companys and getting them to sign nondisclosure. And showing them some ideas via prototypes. Get them to patent the idea. I never wanted to make endless blades myself. What I wanted to do is get a check to further my quest and a small fee for each sold. And still work for them bringing other ideas to light. That would be my ideal dream.